At Deck It Out Decks we specialise and building attractive, usable outdoor rooms such as the classic verandah. Verandahs are areas that are attached to a house that are designed to be a usable area, not just somewhere to walk along or to look out from like a balcony. 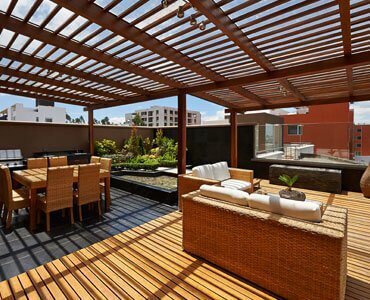 Our favourite type of area is an outdoor living area and so we really enjoy building them for our clients. When you contact our Melbourne verandah builders, we can arrange a time to come out and make a quote for you, based on your block of land and the sort of verandah you would like to build. And guess what, we will turn up on time for the quote and get it back to you quickly, to help you make a stress free decision about who you will get to build your verandah. Mostly verandahs in Melbourne are build with wooden materials and have open sides of course, to make the most of your outdoor spaces. However we can also incorporate other materials such as steel, corrugated iron or specialised products to suit your design needs. After all it is your house, so you should be able to choose. Usually a verandah will need to have a permit before they can be legally built in Melbourne or most parts of Australia. We can build a verandah from your existing plans or can create our own, and get the job done well either way. 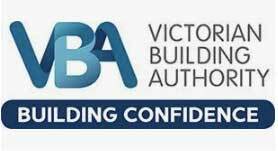 So if you want to work with one of Melbourne most experienced and reliable verandah builders, then call us for a quote today.